As a guest of The Inn at Spanish Bay, you can enjoy a myriad of extraordinary services and benefits. From a complimentary Lexus test drive to access to our members-only sports and fitness clubs, The Inn is committed to providing a first-class experience. We are happy to provide scheduled complimentary shuttles to take you between our three resorts and our golf courses. Reserve two hours in one of our Lexus test-drive vehicles during your stay. As a guest, you can book golf reservations up to 18 months in advance. Your tee time includes complimentary use of a golf cart. You are welcome to use The Spanish Bay Club and The Beach & Tennis Club, our members-only facilities. We will gladly assist you with securing tickets, reservations, rentals, business services, transportation, information and other requests. Our Business Services Center can provide copying, fax, laptop connections and rentals, supplies, printers and more. Our collection of Frequently Asked Questions can help you find more information about Pebble Beach Resorts and related subjects, including access to our golf courses, the weather, our cancellation policy and the best way to get to Pebble Beach. How may I access Pebble Beach Golf Links? All guests of The Lodge at Pebble Beach, The Inn at Spanish Bay and Casa Palmero have access to Pebble Beach Golf Links and the other courses at Pebble Beach Resorts. Only Resort guests may reserve tee times more than 24 hours in advance at Pebble Beach. For Resort Reservation information, call (800) 877-0597. What are the room and golf booking guidelines for individual travelers? Guests of The Lodge at Pebble Beach and The Inn at Spanish Bay may book up to 18 months in advance. Guests of Casa Palmero may book up to 12 months in advance, subject to availability. We recommend booking early to avoid disappointment. Hotel guests are encouraged to request golf tee times at time of room booking. A minimum 2-night stay is required to play Pebble Beach Golf Links. During our peak season (September to November), a 3-night stay is required to play Pebble Beach Golf Links on Thursday through Sunday. Additional dates throughout the year may require a 3-night stay at the discretion of the Resorts. Please inquire about minimum-stay requirements for playing multiple rounds. On all other courses, 1 round of golf may be booked per night of stay. Non-Resort guests may book The Links at Spanish Bay or Del Monte Golf Course up to 6 months in advance, Spyglass Hill Golf Course up to 3 months in advance, and Pebble Beach Golf Links up to 1 day in advance. A 2-night minimum stay is required for a weekend stay. A deposit equal to two nights’ stay is required at the time of booking. Cancellations for both rooms and golf must be made 14 days prior to arrival. Cancellations made less than 14 days prior to arrival or play will be charged the full deposit. All rates are for comparison purposes only, and are subject to change. April through November is the busiest period. The Lodge at Pebble Beach, The Inn at Spanish Bay and Casa Palmero at Pebble Beach are year-round resorts. The Lodge and Casa Palmero are adjacent to one another; The Inn at Spanish Bay is approximately 7 miles away (10 minutes by car). Daytime temperatures on the Monterey Peninsula range from 50-75 degrees Fahrenheit year-round and vary throughout the day. Mornings are often foggy; afternoons are frequently balmy. It is best to dress in layers and carry a water-resistant wind shirt or jacket. Please note that it rarely rains between April and October. What attire is appropriate for the courses? Collared shirts with slacks or walking shorts are considered appropriate; no blue jeans please. What kinds of spikes are recommended? Soft spikes are recommended but not required. Multi-stud, rubber-soled shoes are not recommended. Because Pebble Beach Golf Links offers what is regarded as perhaps the greatest walk on Earth, we suggest a caddie. As course experts, Pebble Beach caddies can help you read greens and gauge yardages. Moreover, they can enhance a once-in-a-lifetime golf experience by sharing some of the rich legend and lore of Pebble Beach. Alternatively, you may carry your own bag or use a cart. What courses may I play during my visit to Pebble Beach Resorts? In addition to Pebble Beach Golf Links and The Links at Spanish Bay, there are the spectacular Spyglass Hill Golf Course and one inland locale, Del Monte Golf Course in Monterey. What kind of grass is used on the courses? The talented team of friendly professionals at The Inn at Spanish Bay is dedicated to ensuring your stay is seamless from glorious start to fabulous finish. If there is anything we can do to enhance your overall guest experience at The Inn, please let us know! With a decade of concierge experience and a membership with the prestigious Les Clefs d’Or association, Kimberley Kalin, Lead Concierge is a wealth of local knowledge! Be sure to visit her in our lobby to get the very best advice on dining and sightseeing. "The Inn at Spanish Bay resort in a word was magnificent. The service and hospitality was second to none…it’s a bucket list trip that all of us will never forget." 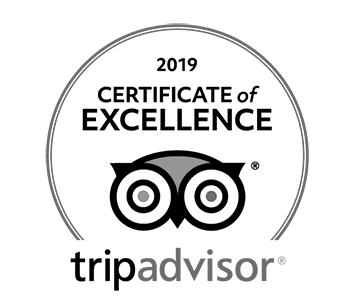 "The friendliest, most helpful staff. Wonderful restaurants. One of the prettiest and most challenging golf courses in the world. Great fitness center and spa. Spent a week there and enjoyed every minute." "Once you are on the property, the attention to detail is superb. The valet parking is excellent and well managed. The golf club storage and logistics management are excellent. The grounds are magnificent." 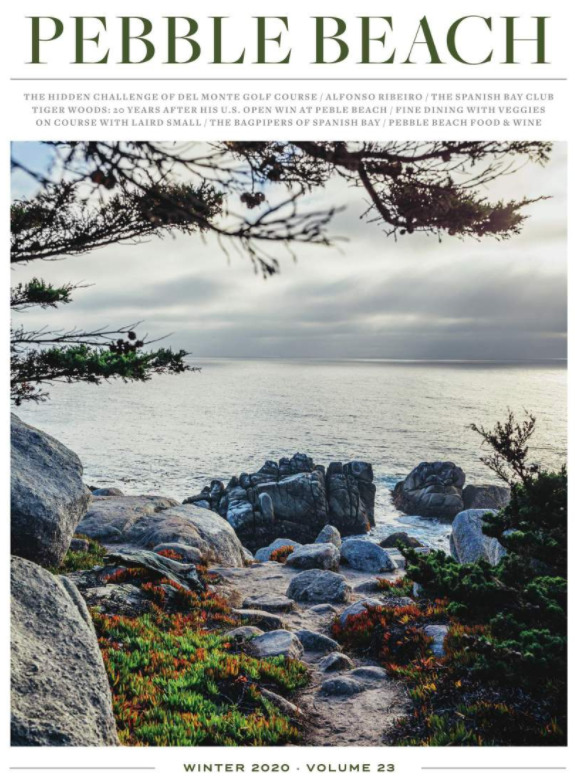 Explore the unparalleled facilities and activities of The Inn at Spanish Bay, Pebble Beach Resorts and California’s beautiful Monterey Peninsula.